Parents generally know before the experts that something just isn't right with their son or daughter. Each scenario is different depending upon the individual child and unique disability or disorder. We have a friend whose son was diagnosed with autism at two years old, our son’s ADHD and learning disabilities were not identified until the third grade, and another friend of ours didn't receive an accurate Asperger's syndrome diagnosis for their daughter until the sixth grade. 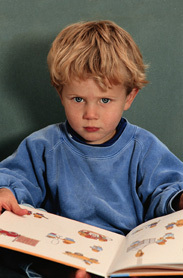 It varies for each situation because of the differing degrees and levels of learning or behavioral disorders. Also note that some diagnoses are easier to determine than others. Where should a parent turn when they suspect that their child has some sort of learning or behavioral disability? The answer is to get a proper medical diagnosis to determine if your child has special needs. The prospect of finding out if your child is a special needs child can be quite dauniting for parents. That said, the earlier you intervene and receive a diagnosis, the better off for your child. The law dealing with special education known as IDEA or The Individuals with Disabilities Education Act governs how states provide early intervention, special education and related services to more than 6.5 million eligible infants, toddlers, and children with disabilities. Infants and toddlers with disabilities (birth-2) and their families receive early intervention services under IDEA Part C. Children and youth (ages 3-21) receive special education and related services under IDEA Part B. As you can see, with the right diagnosis your child is eligible for special education services as a baby. Don't delay in seeking the diagnosis, but start the intervention right away.